Found on a Mitsubishi Fuso Rosa bus (2010) What does this button switch on/off? @tiv thank you! 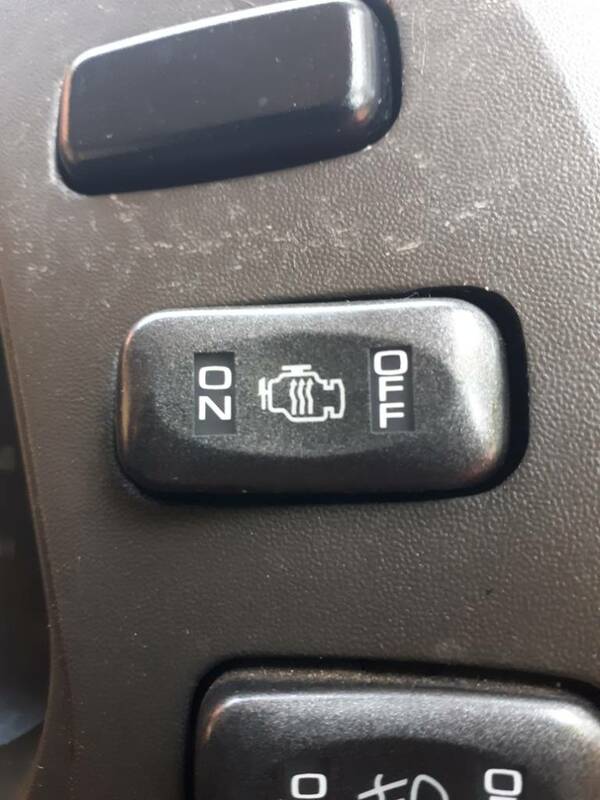 So if I start the vehicle with this on does it make the engine rev more than when the switch is turned off? 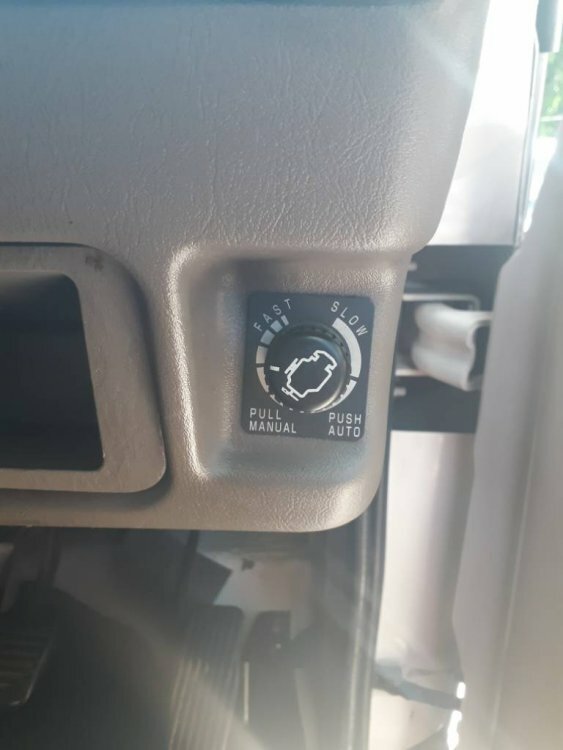 This is the idle speed control knob isn't it? This must be a larger engine isn't it?